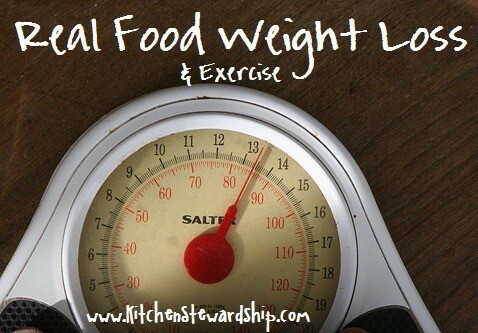 Does exercise have anything to do with the kitchen or good stewardship? Good stewardship of your body means treating it as a temple of the Holy Spirit, so you take care of it. God didn’t create us to be obese and riddled with medical problems. We eat well to be kitchen stewards of our bodies, and to keep balanced, we need some physical activity. Whether that has to be structured or organized or not is up to you. I will admit I think I might be blessed with amazing health and physical fitness genes (I have aunts who work retail on their feet and downhill ski, both in their 70s and 80s, no kidding), so don’t hate me when I say that I lost all my baby weight without actually exercising. I just try to keep moving during the day. If you decide you want a formal exercise program, you might like Thrive90, designed for busy parents and never taking longer than 30 minutes. Some way, some how, it is important to pair physical work with great nutrition to keep our bodies at optimal health, whether your goal is to lose weight or you’ve thrown out the scale in an effort to simply be healthy, no matter what the numbers say. Read the rest of the Monday Mission post HERE, including ideas for normal exercise that doesn’t have to get you out of bed at 5:30 a.m.! 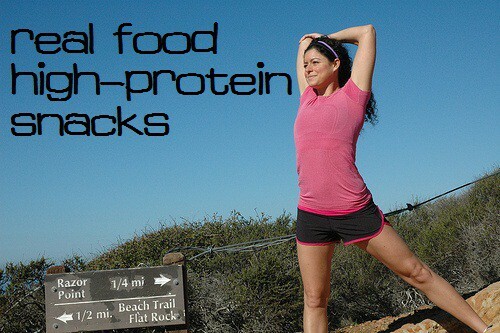 Most sources recommend that an athlete should consume between 6-20 grams of protein within an hour after a workout to help with muscle building and recovery. Find out why HERE along with foundations for protein in pregnancy, to boost brain health, and that list of on the go real food high protein sources good for all these reasons, including protein amounts for each one. I’ll wrap up sharing the Real Food Exercise & Weight Loss series tomorrow with the post about my husband lowering his high triglycerides by 75%. Don’t miss it! Disclosure: There are affiliate links in this post to Thrive90 from which I will earn some commission if you make a purchase. See my full disclosure statement here. « Previous Post Look into your Mouth…What do you Wonder About? The US Olympic Committee did a study and found the best post workout snack is a glass of chocolate milk and a handful of raisins. Beat gatorade and a whole host of other “high brow” refuels. You can look it up, it was in a peer-reviewed journal, but I don’t have the citation handy. Katie, I was told the other day by my nutritionist that virtually NO ONE in the US is considered an athete (unless professional or olympic), so the eat protine within 30 minutes of a workout are not applicable for the vast majority of Americans. Also, she tells me that Quinoa to your body IS a grain. There’s some technical reasons for this, but the bottom line is that it’s a lot of carbs (which we tend to be heavy on in the US to begin with). So, she said that a serving is 1/4 cup! Not worth it for me! Just thought I would share. I guess it’s a higher protein grain…? 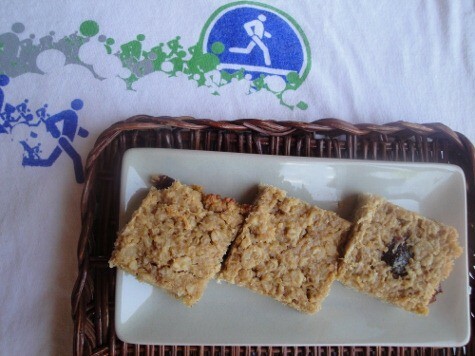 I do know a lot of people who rely on protein for muscle building and just energy in general, and especially when I was pregnant protein was important, so the list of snack foods is still helpful, even if the quinoa bars aren’t. 🙂 Thanks for the insight! The true myth about protein from Oliver Leslie James — is that protein only comes from within – the body makes it, only. Protein is a product of RNA/DNA translation dynamics put forth by genetic coding.Your body makes all the proteins it needs and relegates them around the body to perform their specific functions – collagen, testosterone, insulin etc. You can’t eat a protein and it will go to make your hair do whatever or your muscles grow, or your excersize will be better. A lab can make protein as well (enzymes, steroids, insulin etc) but it must be used, in the case of steroids and enzymes, by injection directly into the blood, tissue or muscle. And even then the effect is challenged once inside the body. The protein in a cow or fish or bird only existed to help that cow bird and fish. And besides, the protein molecules in those creatures (made by those creatures for those creatures), has long since been broken down – one, by death and decay dynamics and two, by the other dynamic known as BBQ’ing. All you need to do to help your body synthesize all the things it was genetically predesposed to make, is provide it with a single blade of grass – or any carb and fat based fuel. The second thing you need to do to be healthy is to not put crap into your body or excesses of too much fat and carbs. Glad you wrote this post. 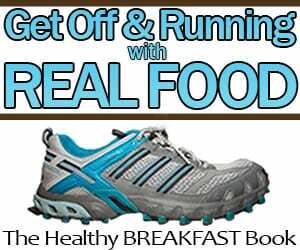 It’s been so important for me to keep a steady fitness regime during my real food journey. I was at first sort of sold by the ‘eat real food and you will lose weight regardless’. I’ve found it’s true to an extent, but only if we stay on the low carb side. One thing I’d mention (similar to Dawn’s post) is that it’s really important to get some fast-digesting carbs + protein post workout. The 6-20 grams of protein you’ve mentioned is great, and based on the amount of protein we consumer, anywhere from 12-40 grams of carbs (best to shoot for a 2:1 carbs to protein ratio). Our bodies have generally depleted a lot of muscle glycogen during workouts, so our muscles are primed to take glucose from carbs (and protein along with it) straight to our muscles! I love a nice smoothie with natural whey protein (ricotta should work too! ), a banana, cocoa, and some organic maple syrup. Thanks for your post, and looking forward to more awesome content! Thanks for your input Oliver. Always interesting to hear different opinions. While I don’t mean to be rude here, the truth is protein works. A book can say one thing, but when you actually apply it to real life (strengthening your body and building lean muscle in this instance), the results don’t lie. Many people, myself included have lost a lot of weight AND put on a lot of muscle, and in that process we’ve have to try many different diet practices/approaches. Protein is the one constant in these approaches that has improved my body composition and strength. I’ve been on extended vacations at times (2-4 weeks), during which I ate a tremendously high carb diet and low protein diet; and I watched weakness and extra body fat work their way quickly back in to my life. I’ll take my protein any day. It is not an opinion – unless you feel that 2 parts of Hydrogen and 1 part of oxygen does not make water, then we have no discussion. I am coming from a simple and pure science (chemistry, biology) reality, non opinion based platform – like what happens when red is mixed with blue – chemically one always gets purple. The actual fact is we do not get nutrients (vitamins, proteins etc) from our diet – rather, our bodies make everything we need. When one wants to know and learn about how proteins and amino acids and vitamins are created and how they work in the body, the real science books, Chem and bio books, textbooks, they will see and learn all that all of this making of nutrients is done within the body and has nothing to do with steak and eggs and oranges – and food, beyond being an inititial fuel source, is not even mentioned in the study of proteomics or any of the true metabolic pathways …The stuff you have learned about protein is not from real lab chemists or biologists but largely from “nutritionists and dieticians who have never been in a real lab and studied proteomics. Too often the masses and the marketers (food science and industry etc) don’t get the actual chemistry or biology of things. How “they” , for “they” are not chemists, don’t get the fragile nature of molecules – molecules that makeup proteins, enzymes, and vitamins. Those proteins that you tgink you are eating or drinking can even survive whatever processces they went through before they enter your mouth – science easily bears that out, and there are more and more mainstream discussions of this. Yes “cooking destroys vital nutrients” and the labs prove this. It is my, Oliver continued effort to connect the dots between real chemistry/biology and what is fed to the masses as real; protein in your pasta and oatmeal and bread etc. – The body is the only thing (outside of a lab) that can produce these vital and “essential” nutrients. Where proteins are concerned, It is estimated that human body has the ability to generate 2 million different types of proteins, coded by only 20,000-25,000 of our genes. Proteins are made in the body only. Only. And while amino acids are omni present through-out the universe, our bodies can make, synthesize, those as well. And the body uses those amino acids to make proteins. This is done through genetic coding via DNA/RNA dynamics. BIO synthesis and only bio synthesis is the process by which the macromolecules (polysaccharides, lipids, nucleic acids and proteins) are made. Proteins can be made in the lab – another type of synthetic. What we have all been innocently (?) led to believe about getting our proteins from food and some drinks (milk) is completely false, wrong, and misleading. All of the multiples of dynamics that occur within the body regarding proteins can never take place in your stomach, on your plate, in the oven etc. : protein precursor, pro protein, inhibitory peptides, proteolysis, posttranslational modification, – all of these dynamics and goings on cannot and will not take place outside of a living organism – unless again performed in a carefully controlled lab setting and lab processes. The body makes all of it’s nutrients, vitamins, proteins etc. All of the “nutrients” that are in fish, or fruit, chickens and cows etc exist only to serve that fish or cow or plant – while they are alive. The body, like all living organisms on earth is it’s own factory, making everything the body needs. 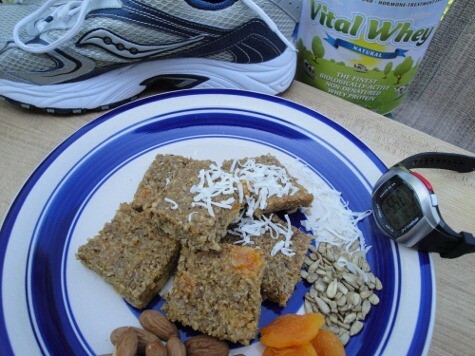 The real fuels for making most if not all (they have it listed at 95 percent) are sugar and fat – oh the horror!!! Actually, more specifically and chemically, fatty acids (not fat from a chicken per say) and glucose, the end result of carbs – pretty much everything is converted to glucose. Even fat, when deprived of a carb gets converted by bio synthesis to glucose – the brain critically depends on glucose as it’s sole fuel. The other fuel sources obviously, are oxygen and water and sunlight, that oh so critical photo “synthesis” dynamic- there’s that critical word again, synthesis (and yes, without that sun providing earth it’s plants – no one eats – not herbivores, or carnivores or omnivores who eat herbivores – even deep sea microbes indeed depend on photosynthesis. Visible light is just one aspect of the electromagnetic spectrum, which includes radio waves, infrared “heat,” and X-rays. Instead of sunlight, the deep-sea microbes use geothermal radiation). The body, all organisms on earth, once provided all of these true essentials, now has the “energy” it needs and can go about it’s business of making everything it needs within it to survive and thrive – including energy to run a mile. All things, vitamins a through z, collagen for bones tendons and ligaments, insulin and testosterone (two types of proteins), keratin for hair, etc. are made in the body as needed and when needed. The medical world and Food science, which is distinct from science science, speaks of “some patients as having a “protein deficiency”. Define protein deficiency? No one can. No one has any clue – ask ten professionals about the symptoms of protein deficiency and you might get ten different answers – or the same ones for the flu, scarlet fever, polio etc. You know, “nausea, weakness, exhaustion, loss of appetite, diarrhea, weight loss” – and on and on – just like every commercial that wants you to try their product “if you have any of these symptoms…” How does protein deficiency work exactly? Which “protein might one be deficient in? There are over two million different kinds – which one(s)? And then, how do we remedy the problem? If you’re keratin deficient (balding?) do we eat cow hair for that protein?- what about collagen deficient, do we eat the rabbits bones? No one can show that protein from chicken say will go to your muscles or hair or any “specific” part of the body – and all proteins are specific with specific functions! If we traced and tracked a protein’s journey/path (like we do a tagged shark say) from the chicken to your muscle perhaps (?????) Well first of all that can’t be done. But if we were capable of such science technology we would see the protein being challenged right from the very start – the moment we killed the chicken. From that point on, the change in that or any particular protein will start. From decay dynamics, exposure to light, oxygen, the food prepping and cooking process, the state of that protein, it’s original molecular composition will be so radically altered it won’t be able to do what that particular protein was specifically supposed to do originally. Again, that protein in the chicken was made by the chicken for the chicken. And what exactly are chicken proteins supposed to do? Which one of the chickens “proteins” is for our hair or teeth? Which one gives us big muscles or gives us testosterone? Which one of those proteins in chickens, or cows or fish or plants etc is insulin? No one has a clue because that’s not how it works. Dear food protein proponent, tell the diabetic which protein based food she/he can eat that will provide him the protein that is insulin (so they can do away with the needle). Does it come from eggs? Is it in the box of special K that lists as having proteins? What kinds of proteins do you have Special K? Marketing and food labeling cannot be generic about proteins. How about milk, is the insulin in that? What if a diabetic ate some animals’ pancreas, would that do it? It can easily be diabetics who will vouch for me as I make a point to those who don’t know that insulin is very fragile, as are all proteins, regardless of how “stable” they are labeled and spoke of in chemistry lingo. Like all proteins, the protein “insulin” would never survive the journey from it’s supposed organic source, cow, fish, plant etc, through the trials of death and decay, exposure to light and oxygen, hot sauce and the frying pan and your digestive system. They tried to make an edible insulin product but realised that the protein will never make it through the digestive process in one piece (the specific sequence of amino acids that make the specific protein insulin). They tried to create an insulin inhalant but here too the protein would not survive well enough to get where it needed to go. It must be injected directly into the bloodstream. Yes Sayan, ask your friend or family member who is diabetic (we all have one, or ten) and needs regular amounts of insulin. Ask them how “durable their stash is”. Ask them if they can keep it out in the sunlight with a cool or hot breeze blowing over it. Ask them if they can eat it or snort it or mix the protein insulin in a power protein shake. Ask them how long the protein that is insulin, that they have to keep in a cool, dry, dark place, sealed always, lasts. Will it last as long as the fake protein that sits on the shelves in many GNC stores? Or at the healthy juice bar at your local gym? No,no, no, no,no, and no. And to that last question, real proteins, any real proteins, the ones the body makes on it’s own and lab designed ones, last on average a few days. Food science’s analysis is incomplete. Science also cannot create or trigger protein synthesis in the body for a particular protein that has a specific role or duty (not yet anyway). Insulin again shows us this. This is true of all vitamins as well. So sayan, you are not feeling better or stronger etc because of Protein from your food source – no, it is your intake of carbs and fatty acids that fuel your body to make all of it’s true “essentials”. If you eat a “high carb” diet of course you will be getting too much of the essential fuel that you need. You do not need the amount of calories you think you need – no other species in the wild is obese and they all have different source for their fatty acids and glucose converting source. A single blade of grass and water (and oxygen and sunlight) give so many grazers all the fuel for everything thing they need including lean muscles like every deer , wild horse, zebra etc you’ve ever seen – and for those tigers in the wild they too get all the fuel they need from their kill/diet which provides the fatty acids which then convert to fuel for lean muscles. Please, simply google true books on protein synthesis not those writtten by nutritionists or body builders – read a basic chemistry 101 book and you will start to learn the true nature of how molecules are uber fragile and how they work in the body matrix.